‘New year, new me’. How many times did you hear this phrase in the last 15 days? We’re guessing- more than you can count. It’s even worse knowing that most of those resolutions won’t survive the month. However, they don’t always have to crash and burn, right? Don’t believe us? Well then, we have to take matters in our own hands to restore your hope. 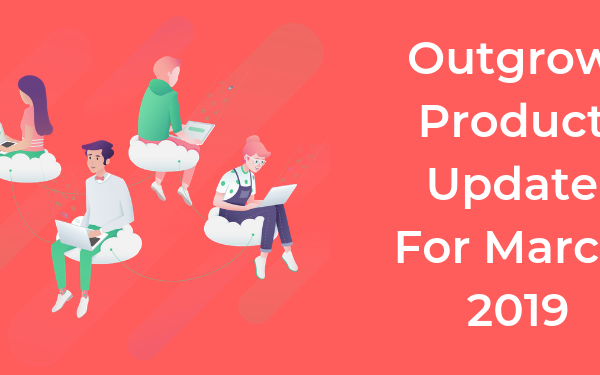 Check out the Outgrow product update for January 2019. We explained in our previous blog how chatbots are becoming the next big marketing rage. In fact, surveys suggest that users prefer chatbots over apps when communicating with companies. Moreover, 56% of people would rather message than call customer service. After looking at these statistics, we knew what our next big update was going to be. Presenting (yes, again! )- The chatbot interactive experience. Can’t wait to try it? Check out our trial. Don’t you just hate it when you invest in a new tool and still don’t get results? Many of the leads are interested in using the tool but don’t end up giving the right contact information. Consequently, we've come up with this new feature that allows you to qualify leads. The tool will only collect business emails and reject personal ones. However, if you choose to collect personal emails, you can always switch off the ‘business email validation’ button. You have heard of embed in an email. You have heard of embed on a mobile page. Now, get ready for embed in chat. 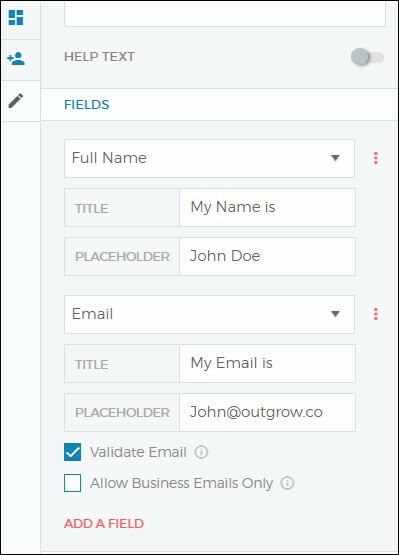 Your leads are looking for ease-of-use in your tool. In fact, most users actively look for user-friendly tools. Embedding your interactive experience in a chat will help you catch their attention early on. Alternatively put, this makes lead generation easier. Chat embedding option is primarily useful for lead nurturing or customer retention. If the leads are in the trial phase, engage them with graded quizzes to increase customer knowledge. Furthermore, if your goal is to retain users, then engage them with calculators or quizzes that provide them with offers and discounts. 1) Head over to the Configure section in the experience builder. 2) Select ‘Embed on a Webpage’. 3) Select ‘Chat’ and simply copy the embedding code. What’s better than a graded quiz? A graded quiz that provides you with the correct answer instantly. Our aim is to constantly improve our tool for our customers. Therefore, we updated the Madrid template for you. Now, the leads will get an instant review of their answers on your graded quiz. Moreover, we have added prominent buttons that help leads move from one page to the another instead of the small arrows on the side. Keeping in line with our spirit of improving this year, we have updated the Poll experience as well. 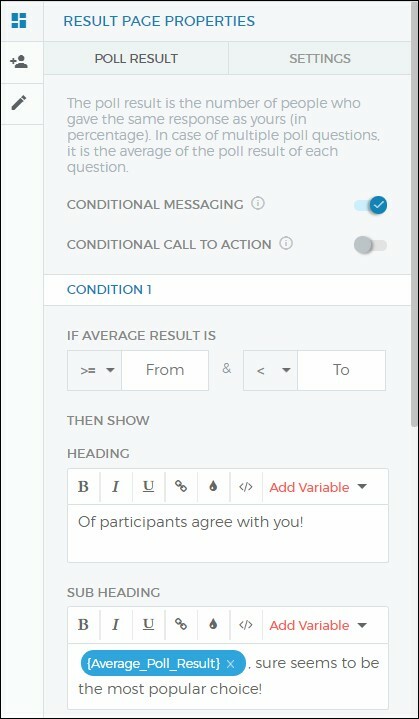 The experience will now have the option of conditional messaging. Furthermore, the poll summary heading has been made editable. Creating an ecommerce quiz is tricky. It is even trickier creating the results page for the same. Earlier, in cases of no-match situations, the results page came up empty. However, now the result page has got a revamp. If the leads’ choices do not match with a product, they are shown similar products on the result page. Initially, the Ecommerce builder did not allow the deletion of a product image once it was uploaded. However, now that glitch is resolved and the user can now delete and choose any product image of their choice. Our users were concerned that the automated email notification limit was creating a problem. Therefore, the limit that only permitted 10k characters has now been removed. You can now send an automated email notification of as many characters as you want. Hey, nobody said business communication needed to be brief! Let us know what you think about it. In fact, hit us up if have any ideas on how to improve our tool further. After all, you don’t need a New Year to create resolutions!